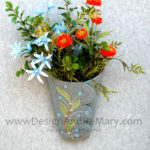 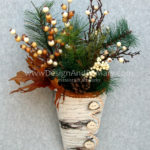 Sometimes it’s fun to take a break from toppers and candle mats. 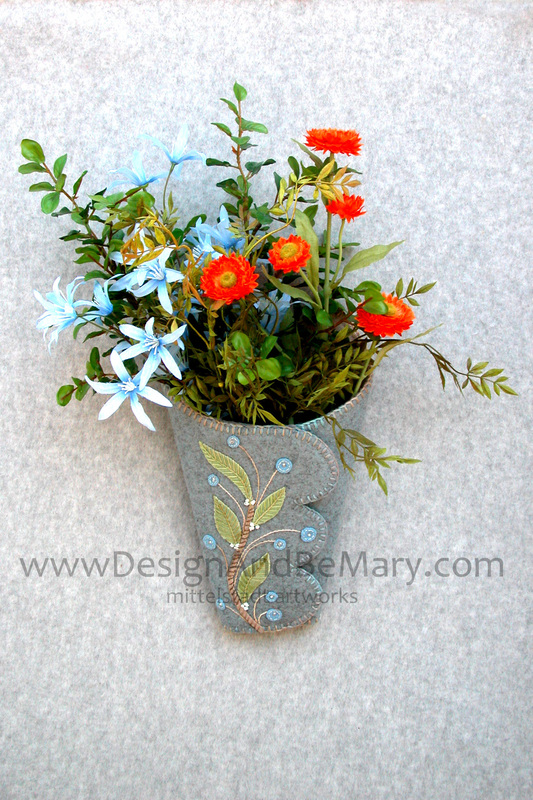 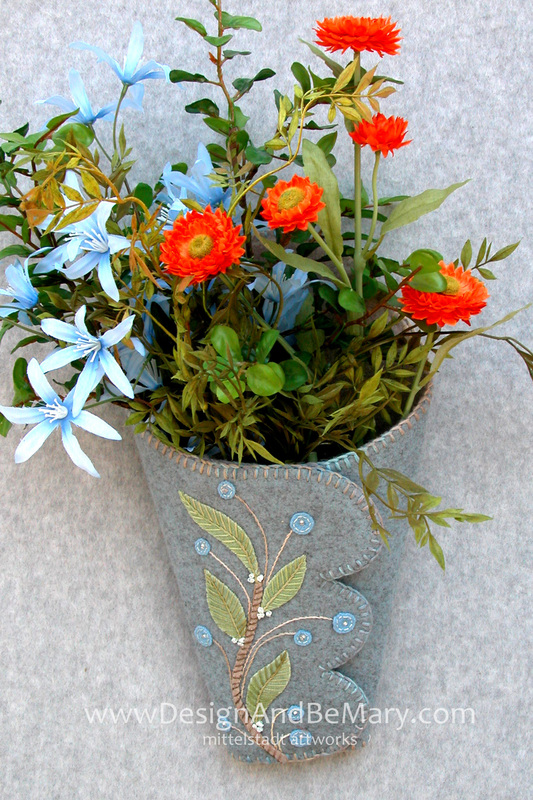 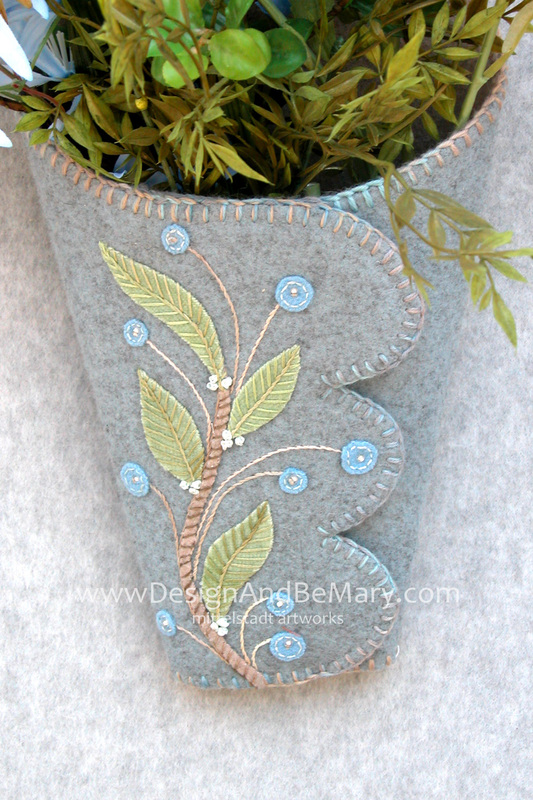 Use both your machine and hand stitching skills to make this unique 12″ x 6.6″ wall pocket that can hold anything from seasonal flowers to your sewing ‘utensils’! 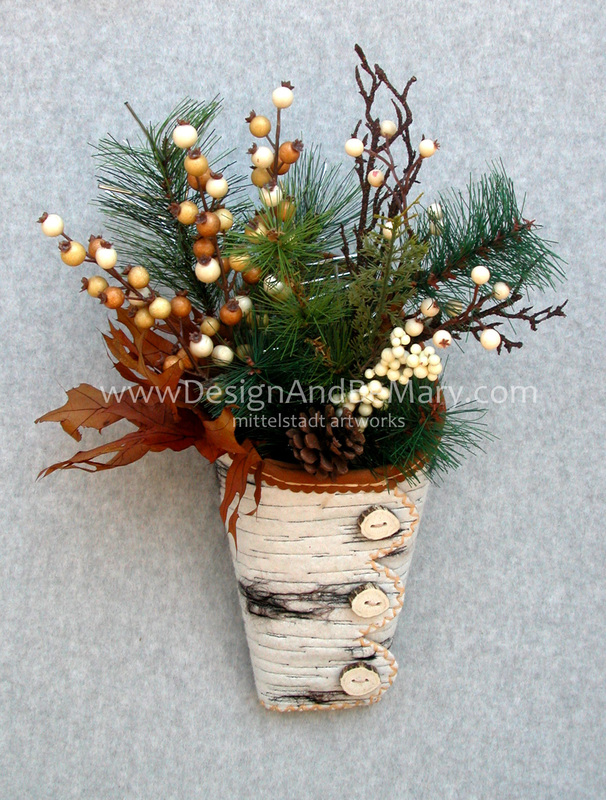 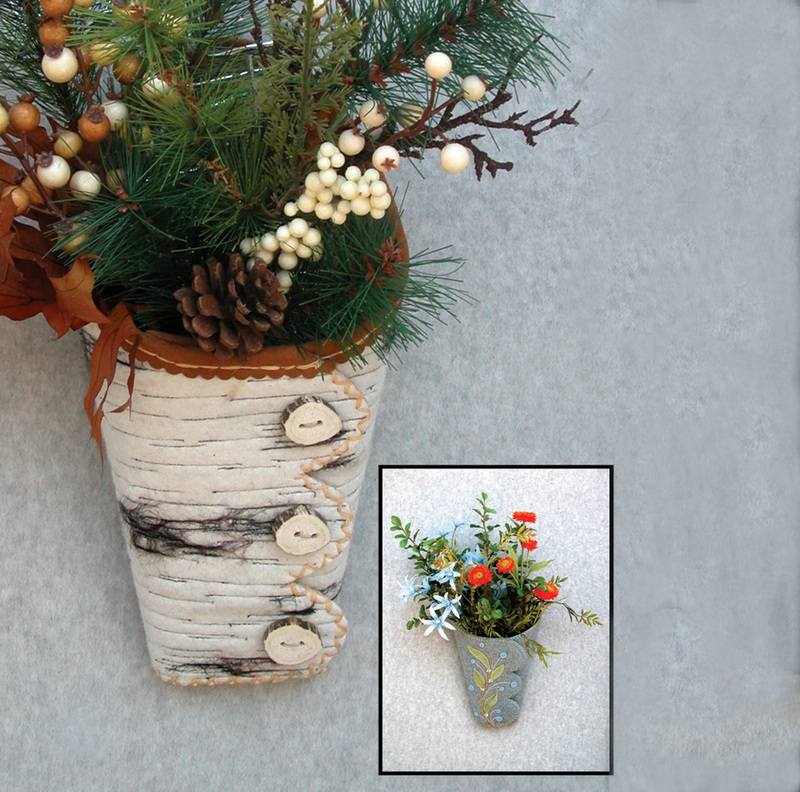 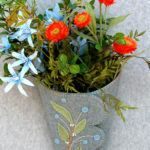 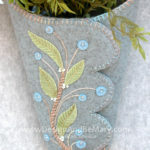 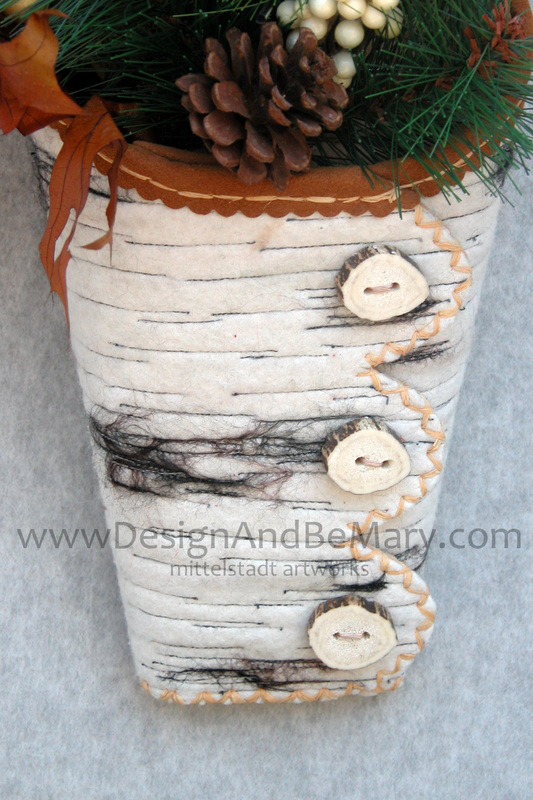 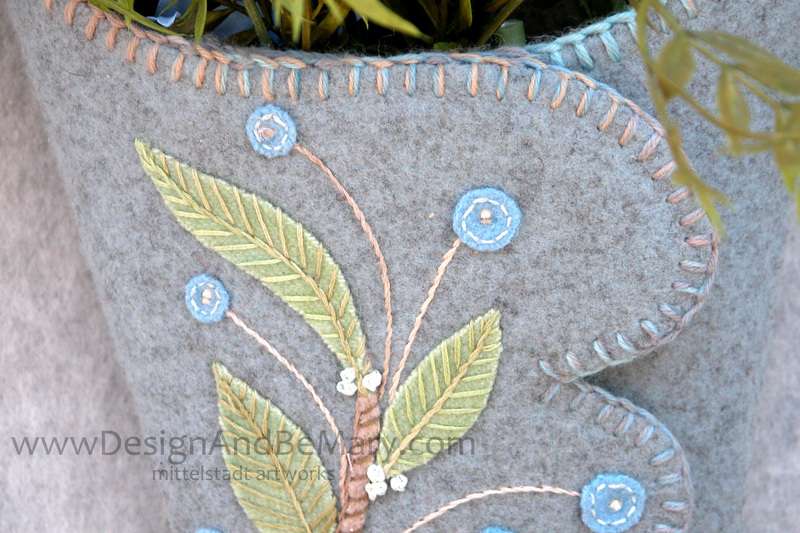 Use your machine, regular sewing thread, and wool felt to create a faux birch bark look OR use Bosal In-R-Foam lining, felted woven wool and your favorite applique techniques to make it as modern or primitive as you like! 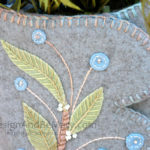 This is a fairly straightforward pattern, but it will appeal to those of you who are willing to involve yourselves with the use of larger needles, heavier threads/yarns, and perhaps an awl or possibly a small pliers to help with stitching through heavier layers. 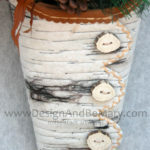 These pockets are wonderfully lightweight, don’t break, and can easily be ‘customized.’ They make great housewarming and seasonal gifts.